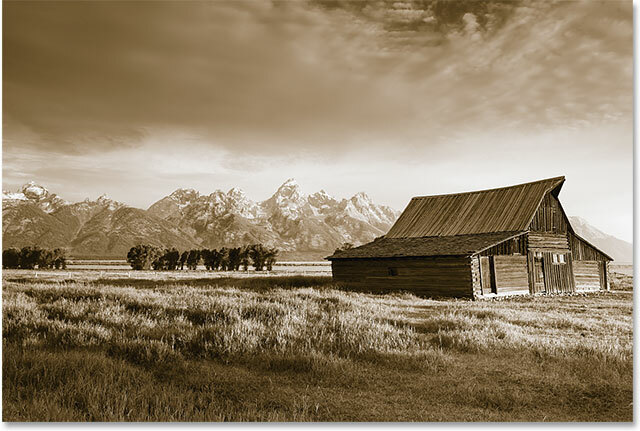 In this tutorial, we'll learn how to easily add a classic sepia tone to an image using the Camera Raw filter in Photoshop CC (Creative Cloud). You can also create this exact same effect in Photoshop CS6 and earlier by opening your image in Adobe Camera Raw, but the nice thing with Photoshop CC is that Camera Raw can now be applied as a filter directly from within Photoshop itself! And as we'll see, by combining the Camera Raw filter with Smart Objects, we can add our sepia tone in a way that's completely non-destructive. Choosing "Convert to Smart Object" from the Layers panel menu. 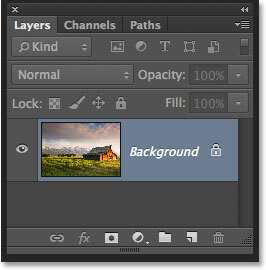 The layer preview thumbnail showing the new Smart Object icon. 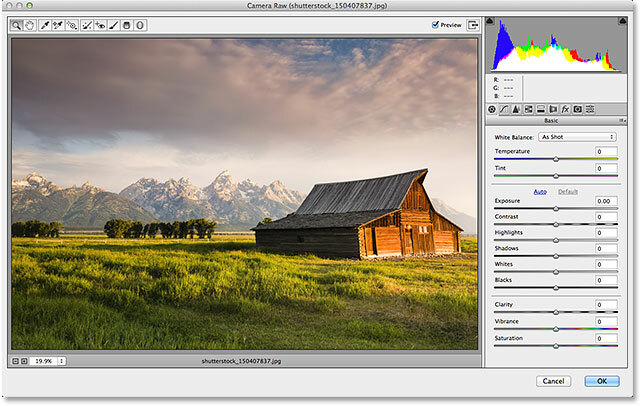 The Camera Raw filter's dialog box in Photoshop CC. Clicking the HSL / Grayscale tab to open its panel. Dragging the Yellows slider to the right. Any areas originally containing yellow are now lighter after dragging the Yellows slider. Opening the Split Toning panel by clicking on its tab. The controls for the Split Toning panel are divided into three sections - a Hue and Saturation slider for the Highlights at the top, a separate Hue and Saturation slider for the Shadows at the bottom, and a Balance slider in between the Highlights and Shadows sections. To create our sepia tone, we can ignore the Highlights section, leaving both the Hue and Saturation sliders set to 0. This will leave the brighter tones of the image as grayscale areas. All we need to do is apply a color to the darker areas (the shadows), and for that, we use the Shadows sliders. 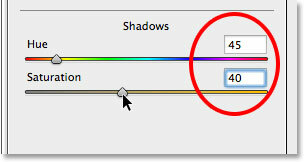 Setting the Hue to 45 and the Saturation to 40 in the Shadows section. The initial sepia tone effect. Dragging the Balance slider towards the left. The effect after dragging the Balance slider towards the left. Click the "eyeball" icon to toggle the sepia effect on and off. Double-click the name of the filter to re-open it. And there we have it! 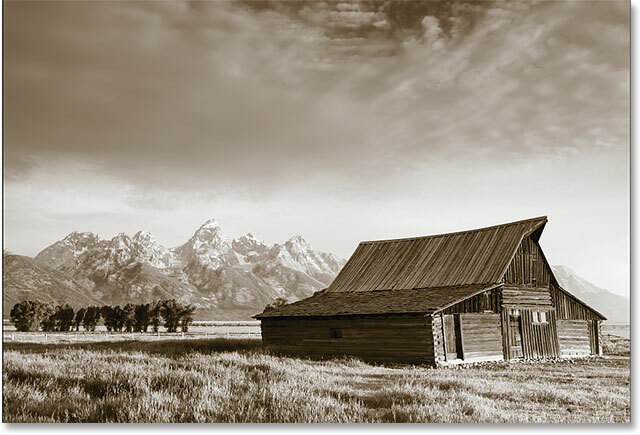 That's how to easily apply a classic sepia tone to an image non-destructively using the Camera Raw filter in Photoshop CC (Creative Cloud)! Check out our Photo Retouching section for more Photoshop image editing tutorials!